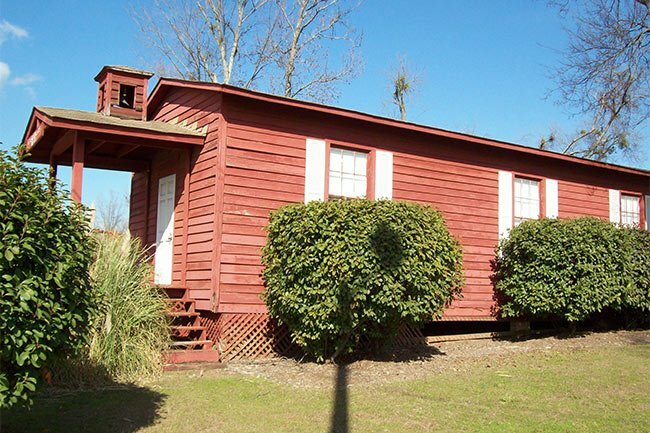 Known as the Little Red School House, this one-room school building sits on the Columbia Canal in downtown Columbia. 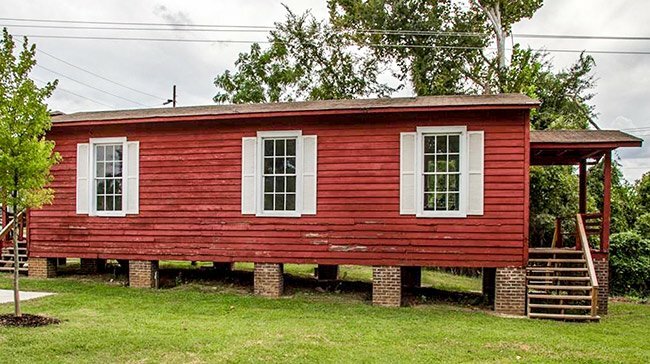 It was moved to the site by the City of Columbia as part of a real estate deal and now serves as an interpretive exhibit. It originally sat nearby on Gist Street between Blanding and Laurel streets. It operated from 1867 until 1913, and though little has changed within the school building, which contains blackboards, slates, and a school bell, the interior is not open to the public. Front and rear steps along with a new brick foundation have been added to the school house since it was moved to the popular park. 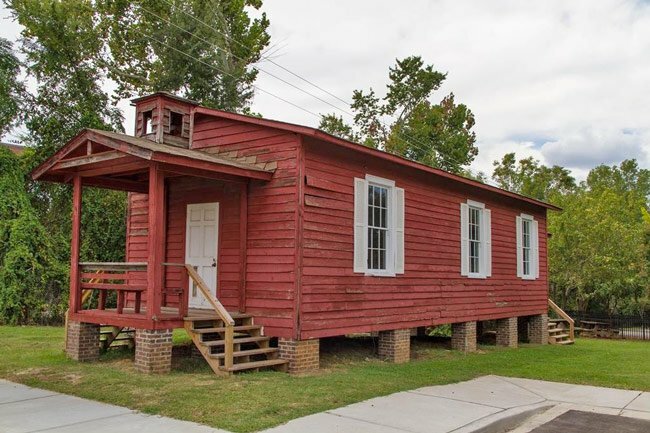 This Little Red School House is not to be confused with another historic school building in Columbia by the same name at Killian Elementary School. We’d like to make this page better. Do you have any information about the Little Red School House that you can add? If so, please send it to the South Carolina Picture Project. Thank you!